Alexander Gustafsson (pictured) is staring a now-or-never situation dead in the eyes. He can finally become the light heavyweight champion on Saturday by dethroning champion Daniel Cormier at UFC 192, or face the possibility of never fighting for the title again with a loss. 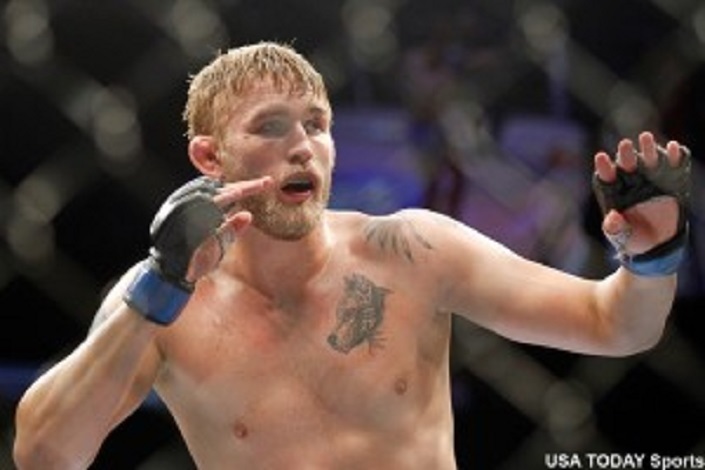 Gustafsson had rattled off six straight wins to earn his first title shot. On that September 2013 night, he came THIS close to beating then-champ Jon Jones, the most dominant man in all of MMA. Gustafsson actually made Jones look vincible for the first time in his career. However, in the end, Gustafsson still lost a unanimous decision. After rebounding with an easy win over Jimi Manuwa, Gustafsson was obliterated by Anthony Johnson in a light heavyweight title eliminator. Gustafsson left the cage in tears because he knew it would be years until he sniffed another championship affair. Then, the only man who could beat Jon Jones did – Jon Jones. The UFC stripped Jones of his title and suspended him for his latest legal woes. The light heavyweight division was once again wide open with Jones’ exit, and Gustafsson gladly slid his way back into title contention. Does he deserve to be fighting for the belt following January’s brutal TKO defeat to Johnson? No, but who is going to turn that golden opportunity down? But the time is now for Gustafsson. Saturday is the most significant fight of his career, even more so than when he lost to Jones because a defeat to Cormier would mean he’s lost to everyone above him in the light heavyweight rankings. Gustafsson would officially earn the dreaded “Gatekeeper” moniker at 28, right when he’s entering the prime of his career. It’s now or never for Gustafsson – become champion now or face the realistic possibility that he may never fight for the gold again.